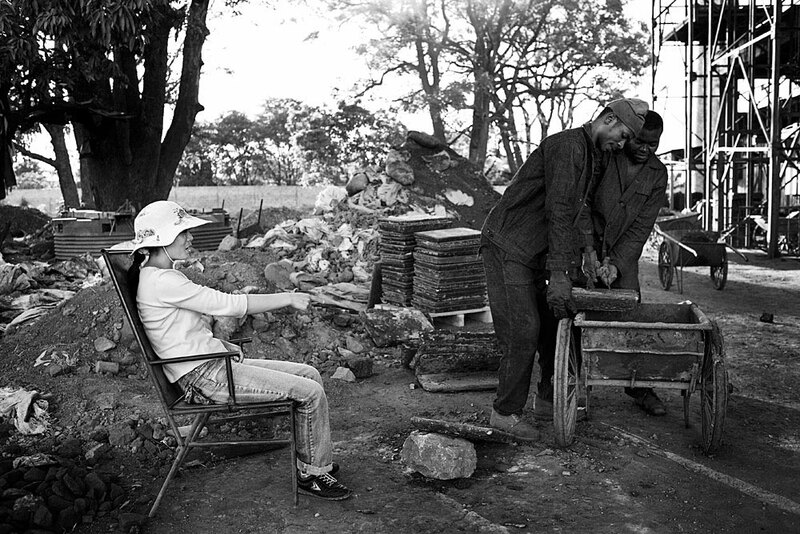 A Chinese woman points and directs Zambian workers at a copper smelter plant, Ndola, Zambia, 2007. The ore is taken from mines in neighboring Lubumbashi, DRC. The copper is later transported by ship to China, fueling their demand for raw materials.